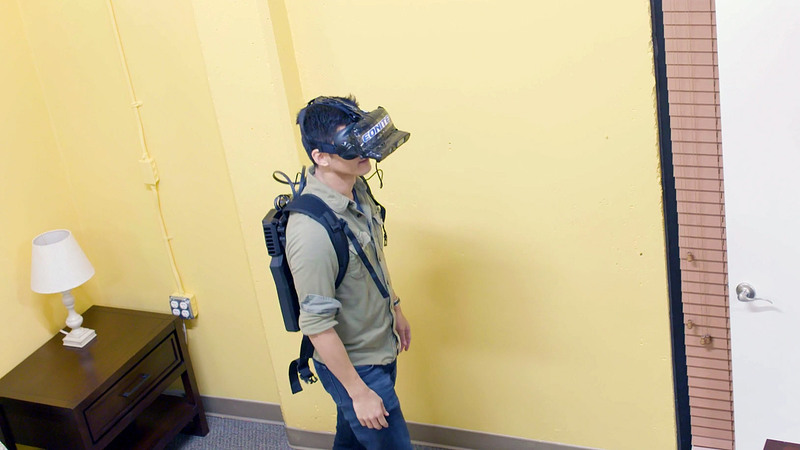 Inside-out positional tracking—the ability to precisely determine where an object is in space using only sensors mounted on the device itself—has been an obvious need but an elusive challenge for the VR and AR industries. 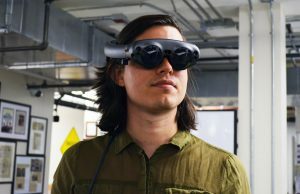 AR in particular requires such accurate and low latency tracking that virtual objects can appear fixed to the real world. That’s potentially revolutionary for the VR and AR industry if true. And while we’ve haven’t gotten our hands on the tech just yet, Eonite has attracted the attention of Silicon Valley venture capitalists and angel investors who dropped $5.25 million on the company in a Seed investment in 2016. Among the investors is Presence Capital and The VR Fund, who specialize in VR & AR tech investing. The company’s tech is not hardware, but general purpose software for achieving high performance inside out tracking. “It’s not a future promise. 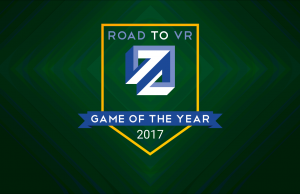 It works,” Eonite CEO Youssri Helmy said, speaking with Road to VR. 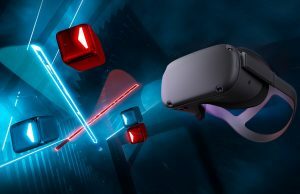 He says Eonite’s tracking is capable of sub-millimeter accuracy and just 15 milliseconds of motion-to-photon latency; both under the threshold of what’s considered high enough performance for VR tracking. The company is calling the capabilities of the tracking ‘homescale’, to suggest that it can enable tracking across a multi-room, home-sized space, and is tuned to track well given the sort of objects you might find in a common home (furniture, shelves, doors, thin etc). 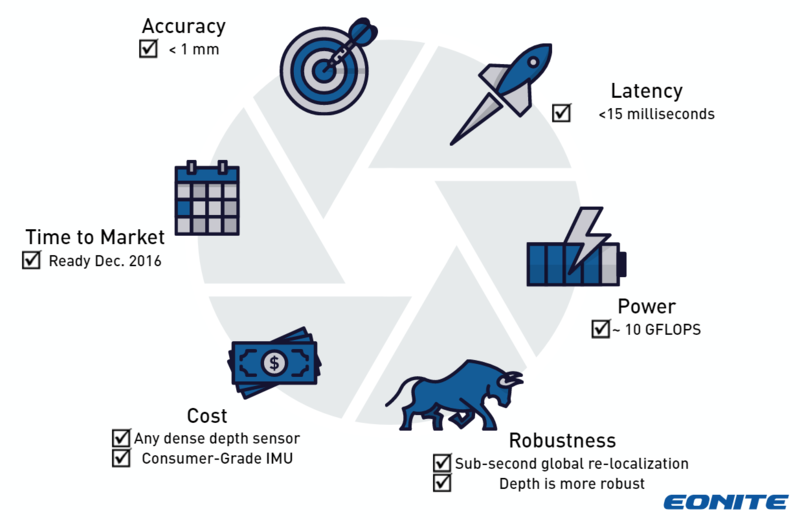 Helmy says that the tracking tech integrates IMU and RGB data, and can work with “any depth sensing, from high def stereo, time-of-flight, rolling shutter, global shutter. Anything. 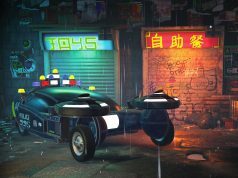 The software doesn’t have much to do with the camera.” The software is also said to support both static and dynamic real-time obstacle detection for avoiding things like walls and pets. But it isn’t just for tracking. 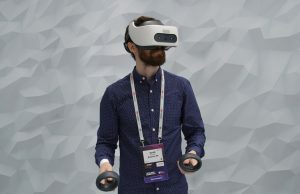 Eonite is working on a Unity SDK which the company says will allow developers to bring real-time 3D scanned data from the user’s environment into the virtual world for mixed reality and AR applications, including support for persistent virtual content, shadows, and occlusion. 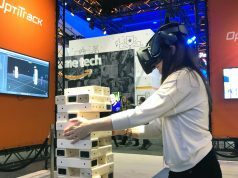 While the company is primarily pitching the tech for AR and VR tracking for now, it’s also said to be a solution for other industries like automotive, robotics, and manufacturing. The first product using the company’s tracking will launch in the first quarter of this year. Helmy says. 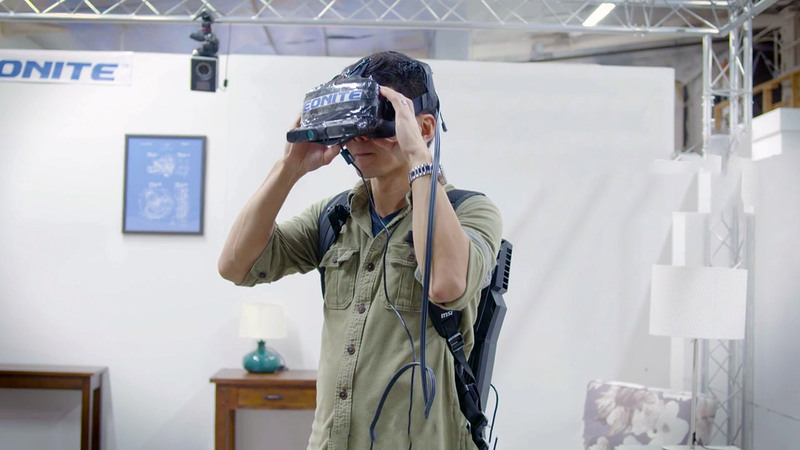 While Eonite’s technology sounds promising, 2016 saw demonstrations of major progress on inside-out tracking by a number of companies. 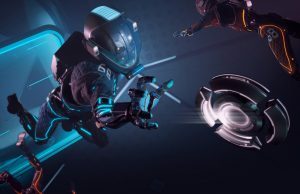 First was the aforementioned HoloLens, followed by the impressive tracking of Qualcomm’s VR reference headset, along with Oculus in October who showed off highly functional inside out tracking on the Rift ‘Santa Cruz’ prototype. 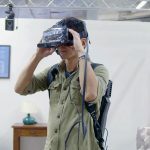 Inside out positional tracking is likely to be a dominant theme of AR and VR in 2017, and if truly solved by any of these players, will mark a major next step for the industry. 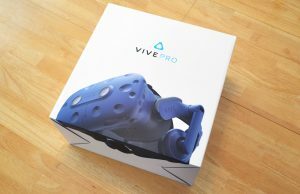 on this blog you write about HTC Vive Lighhtouse tracking as some kind of future standard and, at the same time, you write about “inside-out tracking” which, IF works, will instantly eliminate HTC and Oculus tracking devices altogether, and tons of other companies too.. So which is it ? HTC Lighthouse (or Oculus camera based) OR this magical sub-mm inside-out tracking gimmick you never tested yourself in a location of YOUR choosing ? every tracked object (controllers, etc) needs depth sensing cameras. i wonder how long it takes to bring the cost of the cameras down so that inside out tracking is cheap enough to replace the lighthouses. And, btw, why do you think controllers need depths cameras or any cameras for that matter ??? Even assuming your science fiction possibility comes true in ….ty years..
call your mom. she needs to give you the meds again. 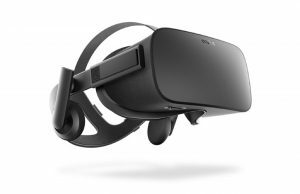 how do you think controllers are tracked when the headset uses inside out? what is “inside-out” for controllers ??? if you only track the controllers with cameras on the headset you can never get high quality tracking because of the large area where the controllers are occluded. thats why you would need inside out for controllers too. there is an older tango demo where the players, who are in the same room, wear headsets with inside out and they pass around a tango tablet, which has inside out tracking, too. i hope i remember it correctly. “large area where the controllers are occluded” ? you mean insufficient FoV of cameras ? occluded by your own body! turn your head with your 4 cameras to the left and see where your previously tracked right hand controller will go. 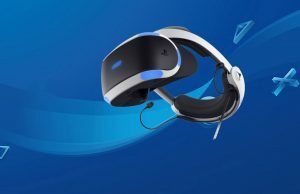 I suspect the controller question is going to be some kind of communication system that correlates the controller relative to the headset position. Perhaps the controllers have their own positional system, maybe some kind of wireless tracking transmitted through the headset and correlated to the rest of the tracking. I too have wondered what they will do here, camera based systems have to “look” at the user with controllers from outside… be nice if someone would at least comment on if even supporting controllers is part of the plan. No you moron. A lack of details is usually an indicator of no-support. It’s called marketing. Yeah, I took the time to read the article, but I was really just looking for mention of controllers. Solving the cost and processing power problems is really cool, but it’s not really solved until it can fully replace outside-in. 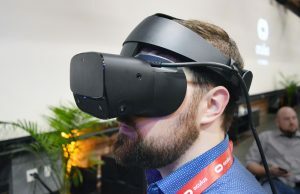 That’s exactly why I suspect inside-out tracking will only be truly useful for AR or mobile VR, because those likely won’t ever be very reliant on external input-devices and rather focus on alternative control methods like gesture recognition. I like to think Lighthouse based tracking will establish itself as the prominent tracking tech for home-use consumer VR. 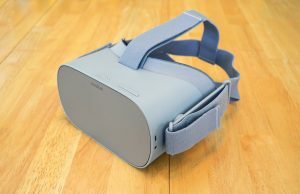 mobile VR doesn’t need high-quality interaction ??? 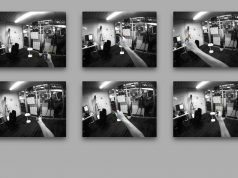 what gesture recognition and by what ? I think the biggest issue Lighthouse will have is scaling and utter lack of environmental awareness. It’s impractical to stick light sensors on everything, hence the draw for camera based systems. They aren’t perfect, but they are improving constantly and allow for a lot more information to be utilized than just the Lighthouse style. I’ll say it again, I think Lighthouse is great for what it does, but I suspect it is an interim technology. high-speed camera-based motion tracking is a commodity tech employed by many movie studios etc etc. etc..
LOL I’m not referring to just the cameras, but the whole software suites driving them and ways the are used. Camera tech including the software to process it is continuing to improve, its not “tapped out” by any means. Just think of facial imaging systems in airports for instance. The point is use of those modules is not a practical system if your intention is to pull in the environment on any scale. And the price will come down, as with all tech, but its at the end of the day only good (very good) for close to exact positioning in a relatively small area. Yes, you can add Lighthouse units, but it’s not very practical on a larger scale. To do that, you need multiple cameras that can process imaging from a larger area and correlate it. All you can say at present time is that it isn’t perfect but we are witnessing the birth of the technology. Should we expect perfection at this point? 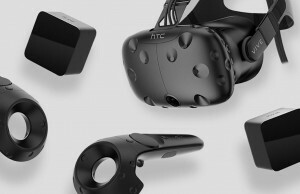 What you say is true: “…IF works, will instantly eliminate HTC and Oculus tracking devices altogether, and tons of other companies too..” that’s why you see all the negativity and nay saying surrounding these news. It’s frigin mind boggling how anything about “inside-out tracking”, which btw is AMAZING news, draw in so much ‘hate’ about them. DO yo uthink Oculus and HTC arew that stupud to invest in camera or laser based tracking solutions if this “inside-out” magic is just around the corner ? Do you think it can ever beat camera or laser based solutions ? 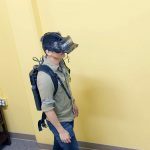 Why is it even practical for dedicated VR setups ? I’m sure it works but so did that Xbox kincet. It’s works, but not very well. Small companies with big promises is becoming too common. Ideally this inside out would be best but I’m skeptical at this point. We need an industry-wide standardized procedure/benchmark to evaluate 6DOF tracking claims. I’m not talking about an internal benchmark, that wouldn’t be practical considering each tech can have a different approach. I’m talking about a test that an independent, dedicated, enthusiast could perform to reproduce and evaluate the device if he’s access to it. This would consider the hardware as a blackbox and use an apparatus to produce a trackable event with known ground truth. 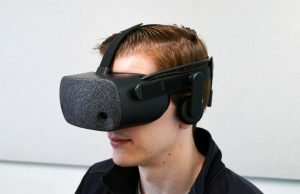 For example if you manage to film the headset externally and also film the through its lens at the same time with synchronized high speed cameras, you would be able to analyze the difference between headset motion and virtual world motion. For tracking AR markers there are simpler procedures that we could implement. I like the sine-fitting method. 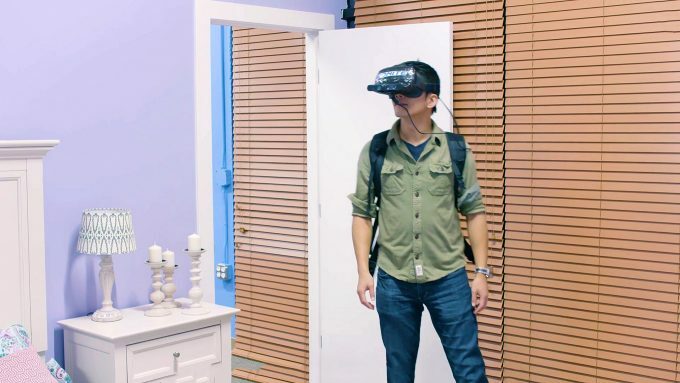 – Room tracking via IMUs, depth sensors and image recognition to use visually unique objects in a room for tracking for the headset. Can use depth sensors to automatically build a map of the room and compute a ‘play area’. – Wearable shin leg pads, and wearable gloves (that go from fingers to forearm) for hand and feet tracking. Tracking hands and feet accurately provides plenty of options for locomotion options in VR environment. Combined with head tracking and IK, full body can be mostly tracked pretty accurately. So lets say you come home from work/school/uni/whatever, walk in the door, drop your bag and change into some casual clothes. 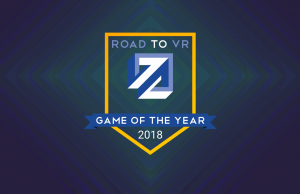 You’re looking to relax and do some VR. What do you need to do? 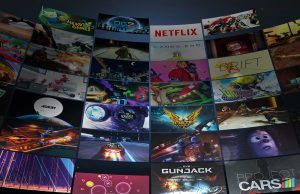 Just walk into the living room, switch the TV to the VR machine, press the button to turn on your dedicated VR machine. While it boots up, put on the pair of gloves and shin pads. Machine boots directly into VR mode 60 seconds later. 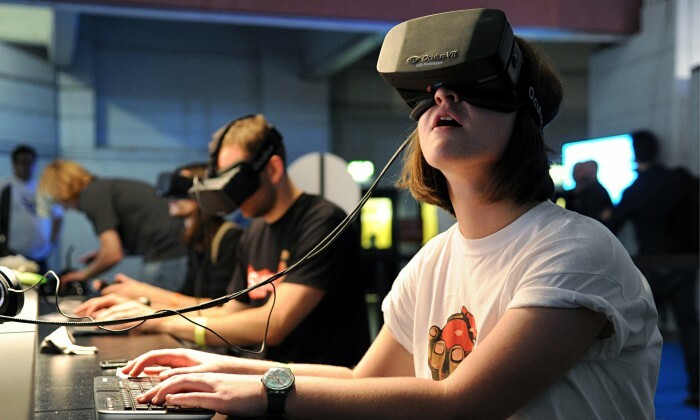 You wear the headset when it says it’s ready, fold down the headphones, and you’re in VR. Use your hands and feet to interact with the world, look around inside of it, use a VR menu to select a game to play, etc. Then maybe pick a game, like Fallout 5, use pretend walking style locomotion to explore the world, use your hands to interact with things, picking them up, crafting stuff, shooting guns, etc. We *almost* have all the right tech to make that a reality. what’s wrong with installing lighthouses or cameras at each room corner ? Positional tracking is great but it still doesn’t solve the VR locomotion problem. Unless it lets you move through physical infrastructure, navigation will always be constrained to available tracking space. It looks like this solution is powered by a battery in a backpack, because powering a 3D sensor using your smartphone will drain its battery in 15 minutes. This approach really needs a different solution. 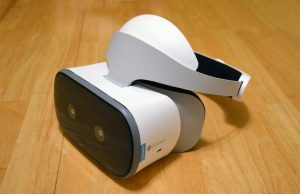 iIs just volumes are not high enough to drop the prices for high-quality standalone mobile VR headsets to say a few hundred bucks so they use ill-fitted expensive smart-phones for this purpose. All bets are off the table there, sorry. Effects of ignoring Moore’s Law? what about all the tango phones? i doubt they will only last for 15 minutes. If I didn’t know any better I’d say you naysayers are rooting for anything that INS’T Oculus/Vive related, to fail. But I’d be wrong… right? I just hope some deep pockets company (like Facebook) doesn’t buy this in order to bury it. how can you bury published articles and phd thesis ? Easy: You buy it and then do nothing with it. Maybe it wouldn’t kill the technology but it could set it back enough to prevent ‘some’ company from losing tens of millions. I’ll try explaining what I mean with a little example: What do you think would happen to the electric car (as a concept/product) if Ford (for example) buys TESLA, fires everyone and then does nothing with the company or it’s patents? It wouldn’t destroy the electric car (as a concept) but I bet it would set it back, maybe, tens of years. That’s how tech and patents work. Tipatat is involved. I’m sold! better tell us if we should already through our lighthouses and oculus cameras in the garbage can or not yet ? I don’t think outside-in tracking will disappear any time soon thanks to the value and accuracy it provides now.